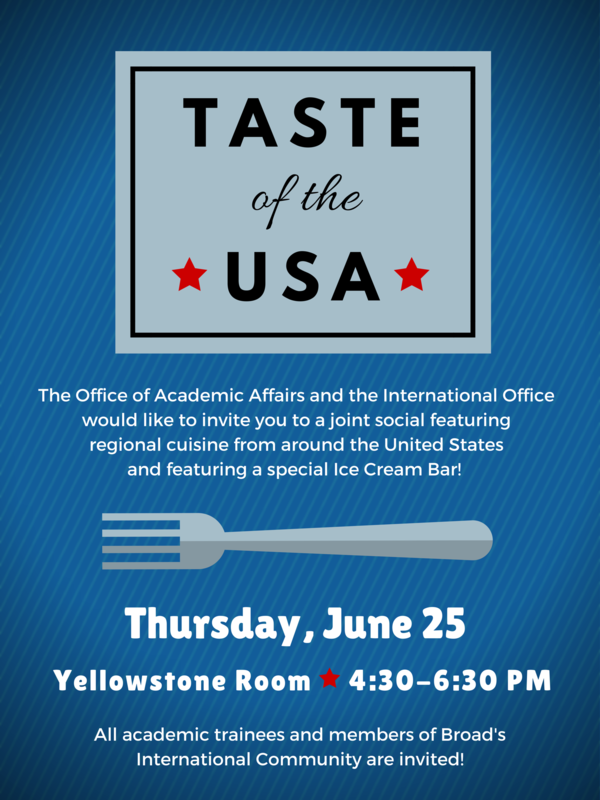 You’re invited to the next Postdoc/Grad Student Social:“Taste of the USA” on Thursday, June 25, from 4:30-6:30 p.m. in the Yellowstone Room. This month we are joining the International Office for a special joint social featuring cuisine from around the USA and a special Ice Cream bar staffed by members of Broad’s International Office! All postdocs and grad students are invited!